It’s hard to surprise a beauty editor, but when experts told us these out of the ordinary strategies for better hair, we almost didn’t believe them. Read on for their “who knew?” secrets to a more beautiful mane. Wait, haven’t we filed the “100 strokes before bedtime” myth under Terrible Advice To Never Heed? Well, yes, but some brushing can actually be good for hair, says Hollywood hair treatment expert Philip B. Even curly hair should be brushed pre-shampoo, says Philip. Use a natural boar bristle brush, such as Philip B.’s Medium Round Hairbrush ($65, philipb.com), which is gentler on fine and textured hair than nylon brushes. And forget the 100 strokes; 10 or 20 should be plenty. Yes, the peroxide and ammonia in hair color can damage strands, but as long as you’re not making a drastic change (anything more than two levels lighter or darker than your current color), a fresh hue can actually make your mane shine brighter. Josh recommends applying hair color, such as John Frieda Precision Foam Colour ($11.99, drugstore.com), 24 hours before your big event for optimal richness and shine — and he did just that for three models at Posen’s show. 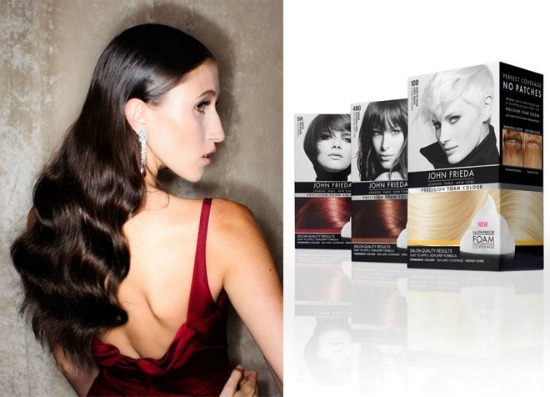 If you’d rather put yourself in professional hands, Redken salons offer the oil-based, ammonia-free Chromatics color line, which actually strengthens hair follicles as it colors. Why? Think about it: if your body only has a small amount of food energy available, it will use that energy to keep your heart, lungs and other essential organs working — hair is low-priority on the list. You want to send your brain the message that there’s plenty of fuel available to nourish your entire body, including the hair. Phillips recommends starting the day with a balanced meal that includes complex carbohydrates and protein. Egg whites, yogurt, cottage cheese, fruits, multigrain bread and high-quality peanut butter are a few of her healthy hair picks. Phillips, the Philip Kingsley trichologist, echoes this idea. “A healthy scalp creates a better environment to ensure healthy hair growth,” she says. She’s also a proponent of daily shampoos to keep the scalp clean and clear. 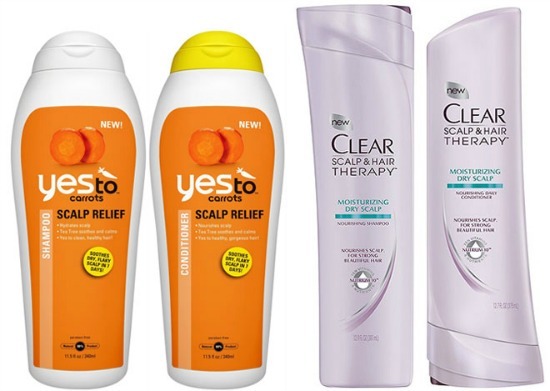 Yes To Carrots Scalp Relief Shampoo and Conditioner ($7.99 each, yestocarrots.com) both feature tea tree and lemon to treat the scalp, plus salicylic acid to promote exfoliation and reduce flaking. With a moisturizing complex of vitamins, nutrients and botanical oils, Clear Scalp & Hair Therapy Moisturizing Dry Scalp Nourishing Shampoo and Conditioner ($5.99 each, drugstore.com) treat a parched scalp, an issue that winter weather can worsen. What are your go-to habits for gorgeous hair? 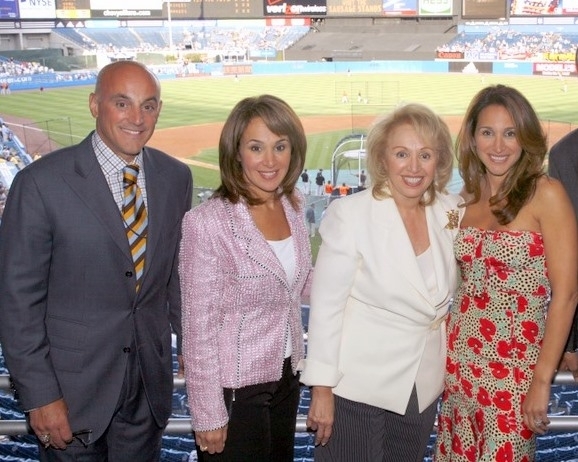 Rosanna Scotto is one of my favorite New York broadcast icons. As one of the lead news anchors for FOX’s Good Day New York, she always looks great on camera and certainly is one to watch for all things lifestyle. Rosanna has a passion for travel and cooking (her family owns the Italian restaurant Fresco by Scotto in NYC), so I am thrilled that she shared some of her delicious family recipes! I caught up with the three-time Emmy winner to find out some of her go-to places, favorite things, and finds. MM: Do you have a signature look or item you always wear? RS: I prefer a tailored look when I’m working, so I wear Luca Luca’s suits, and Magaschoni’s sweaters and blouses. Then I fill in when I see something I like. MM: What skincare products do you like best? RS: It depends on my mood, but I have everything from Créme de la Mer, to Trish McEvoy to Almay in my medicine cabinet. MM: What is in your make-up bag? RS: About 15 lip glosses from Mac, Trish McEvoy and Estee Lauder. My nieces love going through my bag to play with the glosses. MM: Your hair always looks perfect, what is the secret? RS: It takes a village to do my hair! Oscar Blandi cuts and his talented staff… Alexis does color and Ingrid blow dries, but depending on my location and time; Geoffrey Firth from John Frieda, Savita from DS Studio and Nate from Warren-Tricomi do fantastic blow outs. I told you, it takes a village! MM: How do you stay in shape? Favorite workouts? RS: I am part of the Soul Cycle cult! MM: What are some of your favorite travel destinations (and why)? Secret vacation spots? RS: My family and I love to go to the Ocean Club in the Bahamas. Its about 3 hours by plane from New York City. It has a beautiful garden, an awesome beach and a lovely staff. In the summer we travel to Italy. I am always happy to visit Capri, Sardinia and Venice; the food, the clothes, the history – it’s heaven! MM: What snacks do you recommend when on the go? RS: Right now I’m into Kind bars because they have flax and antioxidants, but they are a splurge. I think I should go back to almonds. MM: What restaurants do you frequent most? RS: I am at my family’s restaurant, Fresco by Scotto in midtown several times a week. But I also love Catch in the meatpacking district and Crown on the UES.